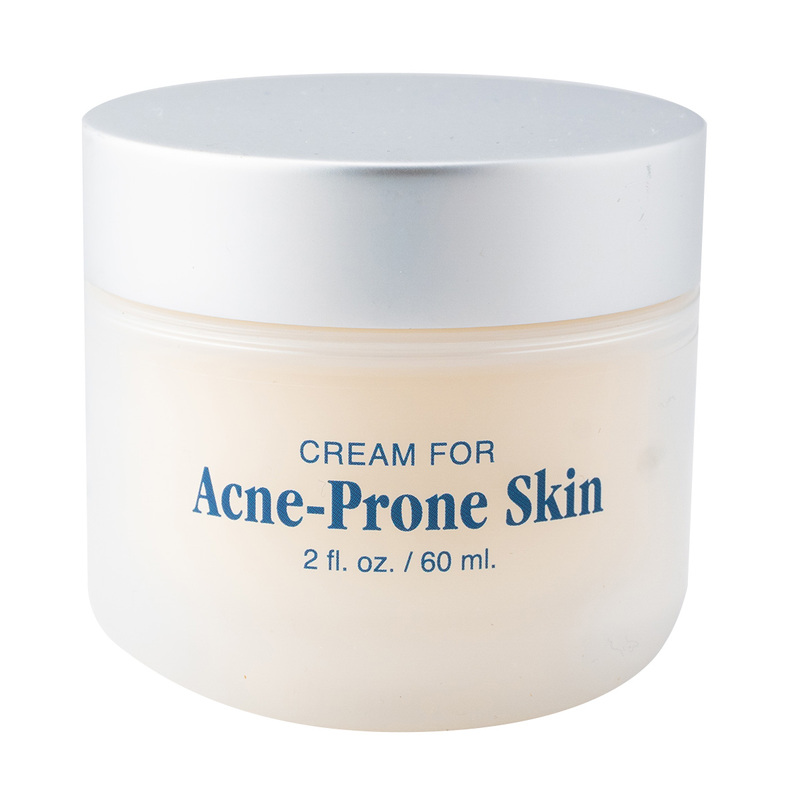 Helps to clear up breakouts associated with acne-prone skin. It does not contain any harsh ingredients such as salicylic acid or benzoyl peroxide which are found in similar type products. Also the product is paraben-free to meet consumer demands for safer and more natural products. Unlike competing products, Cream for Acne-Prone Skin does not contain salicylic acid or benzoyl peroxide, two synthetic ingredients that are harsh and dry out the skin. Instead, this product contains two naturally-derived ingredients which work just as well and are much gentler: sodium ascorbyl phosphate (from Vitamin C), and niacinamide (Vitamin B3). The cream itself is very moisturizing and there is no need to apply an extra moisturizer like competing treatments for acne-prone skin. The effectiveness of the trademarked Vitamin C derivative was better than 5% Benzoyl peroxide, a widely prescribed drug for acne treatment. Apply a thin layer to affected areas twice daily on previously cleansed skin. Once the desired results have been achieved, maintain the results by applying a few times per week.